Faculty and alumni from Belmont’s O’More School of Design are prominently featured in Greetings from Nashville, a pop-up shop project in Brooklyn throughout month of October. Created by Nashville-based comprehensive PR company The Callaway, Greetings from Nashville highlights local talent from the city by hand-picking Nashville’s more representative work. O’More Adjunct Instructor and alumna Ashley Balding, of Ona Rex and alumni Jamie Frazier & Hannah Jones, of Jamie and the Jones, are participating in the pop-up shop. 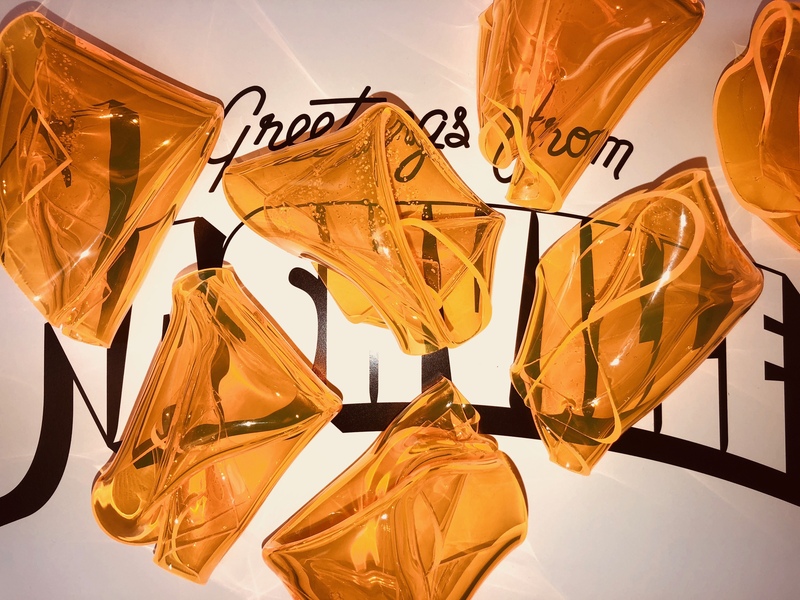 The pop-up’s creation is a golden, orange-yellow pendant that was inspired by Balding’s Fall/Winter collection, based on the Western Frontier and Americana. “The color reminded me of the warm glow of the sun that paints the western landscape,” she said. Greetings from Nashville will be on display in Brooklyn through the end of October and can be followed here.